Cane Bay Partners VI, LLLP Co-Founder David A. Johnson on Wednesday completed a $50,000 donation to the Gov. Juan F. Luis Hospital Women’s and Children’s Division. Cane Bay Partners VI, LLLP Co-Founder David A. Johnson on Wednesday, Feb. 17, completed a $50,000 donation to the Gov. Juan F. Luis Hospital Women’s and Children’s Division. 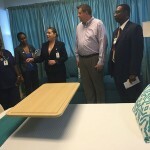 Hospital officials said during a tour of the division that support such as this helps keep the hospital in compliance with the Centers for Medicare and Medicaid Service. Johnson donated the first $25,000 installment in December 2014 and on Wednesday presented the division with the second $25,000 installment. The funds from the initial donation were used to renovate facilities within the Women’s and Children’s Division. The rooms were furnished by Sampson House, located on Company Street in downtown Christiansted. More rooms will be renovated and furnished with the second installment of the donation. The Women’s and Children’s Division encompasses the Mother/ Baby Unit, Neonatal Intensive Care Unit, the Pediatrics Unit and the Labor and Delivery Unit. “I am proud to support the hospital and specifically the Women’s and Children’s Division. This is where our most vulnerable and joyful moments happen and I for one am willing to do whatever is within my power to ensure they are supported and growing. I will continue to find ways to support the hospital so all residents and visitors have top notch services for when they need them because, as we know, it’s not a matter of if we will need the hospital, but when. I challenge all citizens, particularly corporate citizens, to find ways to meaningfully support this critical institution,” said David A. Johnson, Co-Founder of Cane Bay Partners VI, LLLP. 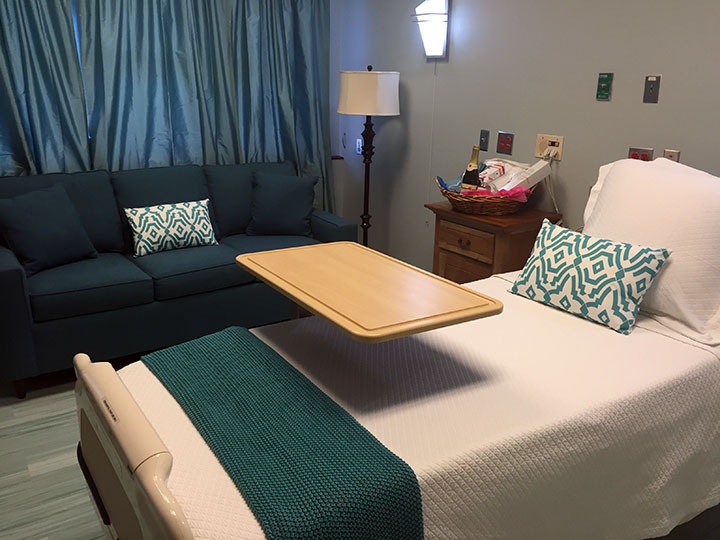 After the check presentation on Wednesday, hospital officials gave a tour of the renovated rooms. 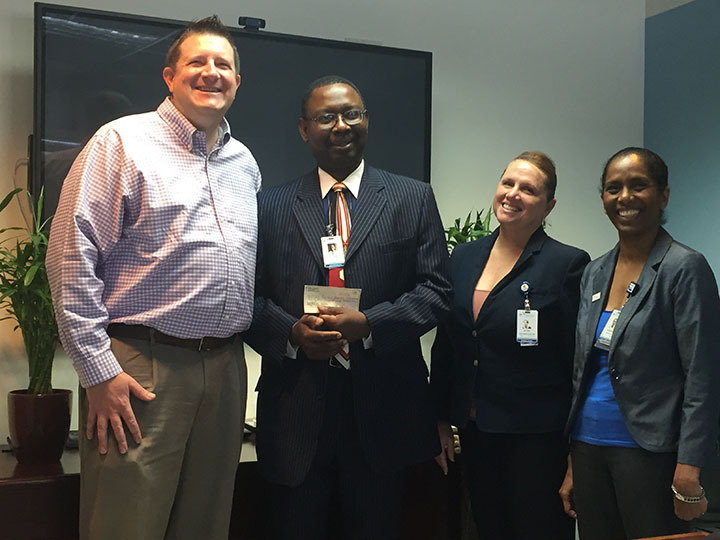 JFL Acting CEO Dr. Ken Okolo thanked Johnson and credited this type of community support for helping with their recent success getting the systems improvement plan approved by the Centers for Medicare and Medicaid Services. 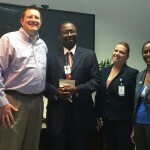 “JFL would like to thank Mr. Johnson for his continued support of the Women’s and Children’s Division of the hospital. Last year’s donation of $25,000 sparked new life in both the staff and the OB/GYN physicians. 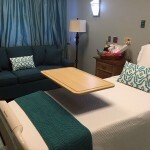 The entire department became invigorated with planning ideas for the renovation project, and it is demonstrated in the outcome of the rooms,” Chief Nursing Officer Justa Encarnacion said. About David Johnson: David Johnson got his start in business upon earning a BBA in Management and MIS from the University of West Georgia. From there, he continued his education, earning an MBA in Computer Information Systems from Georgia State University. After graduating college, Johnson held many positions in the business world, starting as a Regional Project Administrator at Earth Tech. From there, he held a variety of other positions, eventually becoming the Vice President of Client Services at TranDotCom Solutions, LLC. Currently, Johnson is a partner in Cane Bay Partners VI, LLLP, one of the most well-known consulting and management companies in St. Croix. Along with his position at Cane Bay Partners VI, LLLP, he is also a partner at the international consulting company, Strategic Link Consulting. Johnson is skilled in many areas of business, with specialties including: offshore call center operations, risk management, information technology, and marketing. In addition to his professional work, Johnson continues to give back. He has received many awards, including: 2006 Distinguished Service Commendation from Kappa Sigma Fraternity; 2006 Distinguished Service Commendation – Kappa Sigma Endowment Fund; Perdue for New Georgia Volunteer of the Week. For more information on Cane Bay Partners VI, go to www.canebayvi.com or contact Director of Content & PR Perry Sheraw at 678-279-2931. 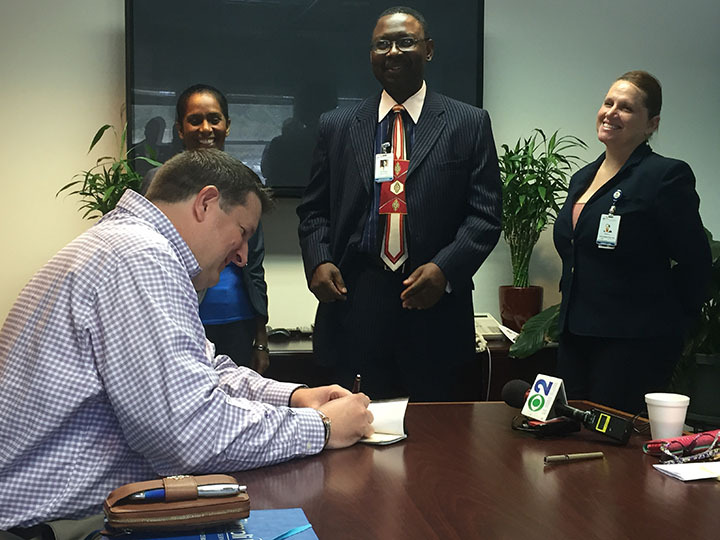 David A. Johnson, co-founder of St. Croix-based consulting firm Cane Bay Partners VI, signs a $25,000 donation to the Gov. Juan F. Luis Hospital on Wednesday, completing a $50,000 donation to the Women’s and Children’s Division. David A. Johnson, co-founder of St. Croix-based consulting firm Cane Bay Partners VI, poses with officials of the Gov. Juan F. Luis Hospital on Wednesday after completing a $50,000 donation to the Women’s and Children’s Division. 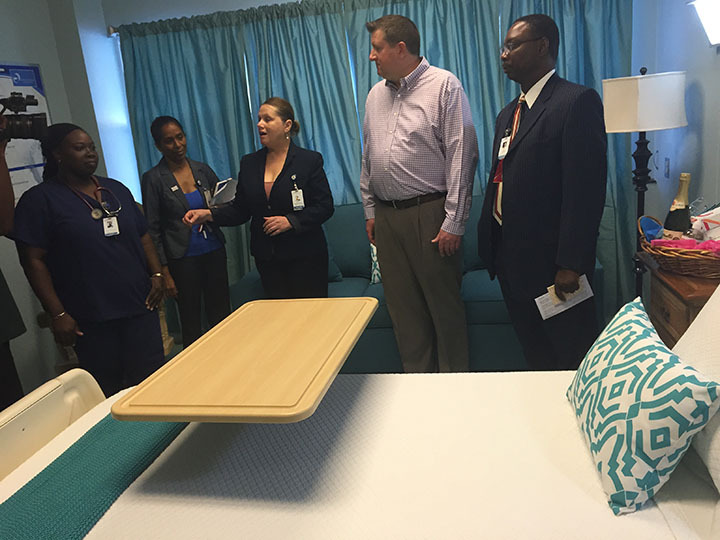 David A. Johnson, co-founder of St. Croix-based consulting firm Cane Bay Partners VI, takes a tour of the rooms renovated using the first installment of his $50,000 donation to the Women’s and Children’s Division of the Gov. Juan F. Luis Hospital on Wednesday. Cane Bay Partners VI, LLLP was formed in June 2009 and founded by internationally experienced business executives with many years of experience in the financial services industry. Focusing our efforts primarily in the financial services industry, our management consulting practice specializes in providing services to clients in need of sophisticated risk management models, debt collections organizations which require liquidation models and analytics, and portfolio management companies desiring a variety of services. More specifically, our practice has elected to specialize in three areas where we believe our core competencies reside: (1) management consulting (2) risk management/scorecard development and (3) service provider analysis.